At least 100 people have been killed and dozens wounded in a suicide bomb attack on a shrine in Pakistan, according to police. Islamic State (IS, formerly ISIS/ISIL) has claimed responsibility for the attack. "At least 72 are dead and over 150 have been injured," senior police officer Shabbir Sethar told Reuters, adding that the death toll is likely to rise. Later, Rasool Baksh, a senior officer from the Sehwan police station, told local media the death toll had reached 100. Military units are airlifting the wounded to nearby hospitals, according to Maj. Gen. Asif Ghafoor, the spokesperson for Pakistan's armed forces. #Sehwan. Armed Forces have placed all required resources for rescue effort. Army and Rangers are doing rescue effort at site. 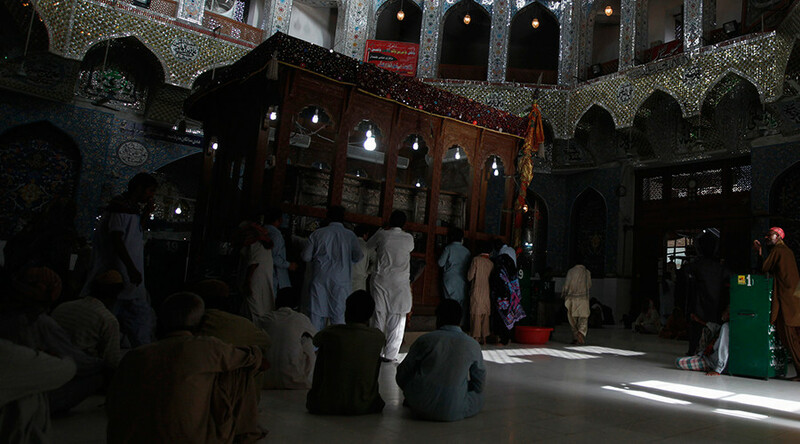 The suicide bomber entered the Lal Shahbaz Qalandar shrine in the city of Sehwan Sharif through its golden gate, according to local authorities cited by Dawn news outlet. The explosion took place at the spot where a ritual known as dhamaal was being performed. "The blast occurred within the premises of the shrine. We have declared emergency in hospitals and are shifting the injured to nearby hospitals," Deputy Commissioner Munawar Mahesar told ARY News. The attacker blew himself up after throwing a grenade which failed to explode, according to the assistant superintendent of police. #COAS directed imed assistance to Sehwan blast victims. Army /Rangers moved incl medical support. Hyderabad CMH ready to receive casualties. IS has claimed responsibility for the attack, according to the group's affiliated news agency, AMAQ, as cited by Reuters. Pakistan's prime minister, Nawaz Sharif, has condemned the violence. The shrine is built around a tomb of Lal Shahbaz Qalandar, a Sufi poet and philosopher. Large crowds gather at the shrine every Thursday to participate in dhamaal and prayers. The blast is the latest in a series of attacks to hit the country this week. A suicide bomber targeted a government office in the Mohmand tribal area on Wednesday, while a separate attack on the same day targeted government employees in Peshawar. Six people were killed in total. On Tuesday, two police officers were killed while trying to defuse a bomb in Quetta. Thirteen people were also killed in a suicide bombing at a rally in the eastern city of Lahore on Monday.